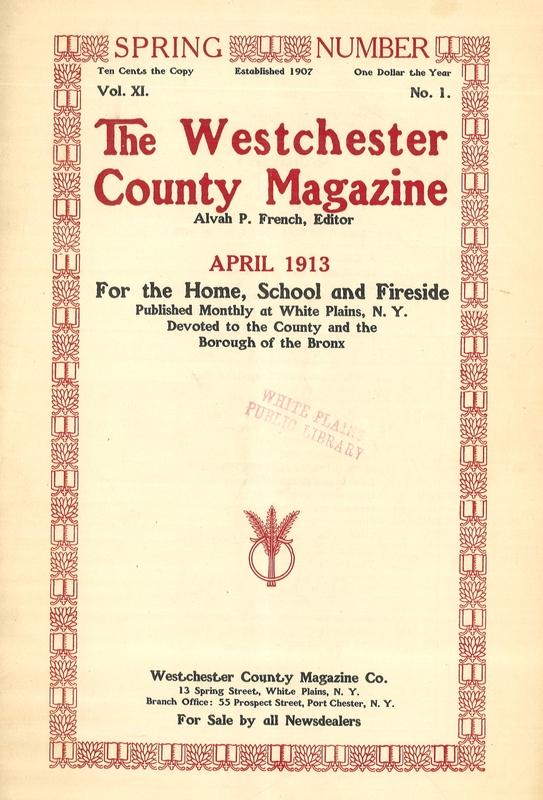 In the pages of his monthly magazine, The Westchester County Magazine, editor Alvah P. French described himself as a “mundane recording angel.” His magazine was “an historical, commercial, and social publication” whose diverse contents seem to be a reflection of French's many interests. 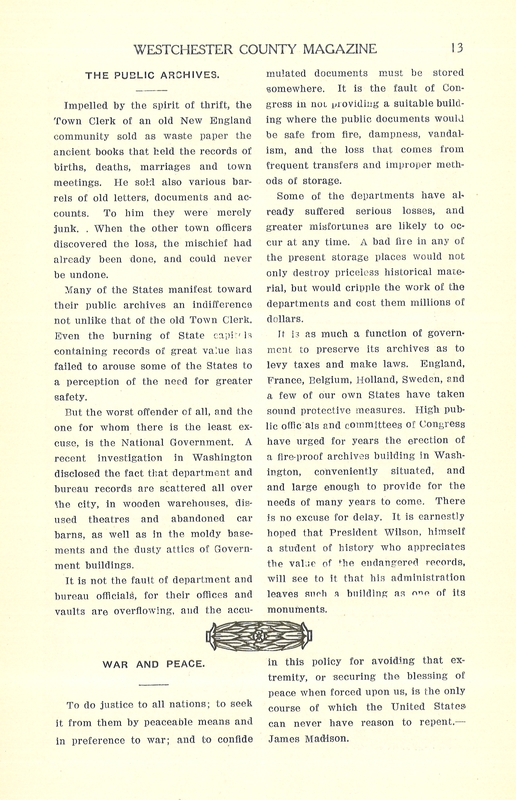 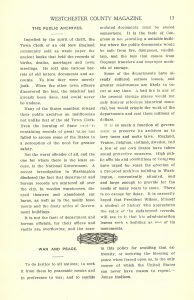 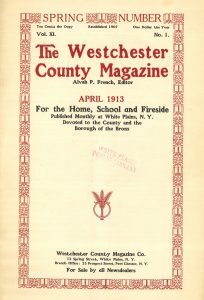 Each issue's contents was a disarray of editorials on local politics, legal notices, obituaries for people either famous or not known outside of Westchester, Emily Post-style admonitions about social conduct, local history vignettes, classifieds, advertisements for local businesses, and unattributed pronouncements (usually philosophical in nature) seemingly written by French. 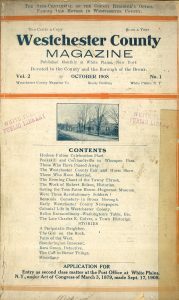 We have a nearly complete set of issues spanning from 1908 to 1916 in the White Plains Collection. 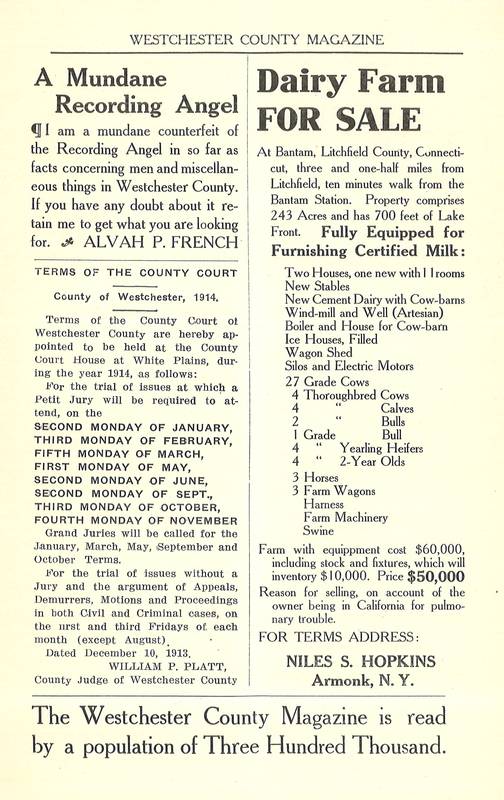 French was born in Armonk in 1867. 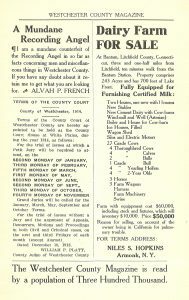 Samuel, his father, was a shoe manufacturer, mechanic, and farmer whose own father emigrated from England in 1840. 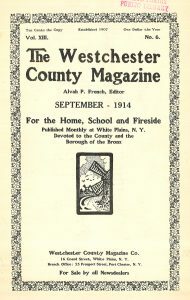 Armenia, his mother, was described in Spooner's biographical history of Westchester County as descended “from old American families.” His matrilineal connection to a soldier wounded at the Battle of White Plains accounts for some of French's interest in and vigorous promotion of local history in Westchester. 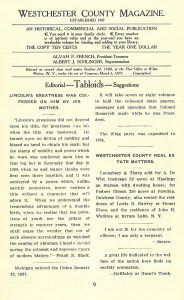 At one time he was president of the Westchester County Historical Society and was said to have one of the largest collections of historical materials in the county. 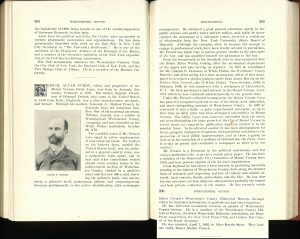 Those interested in French's biography can read more below. 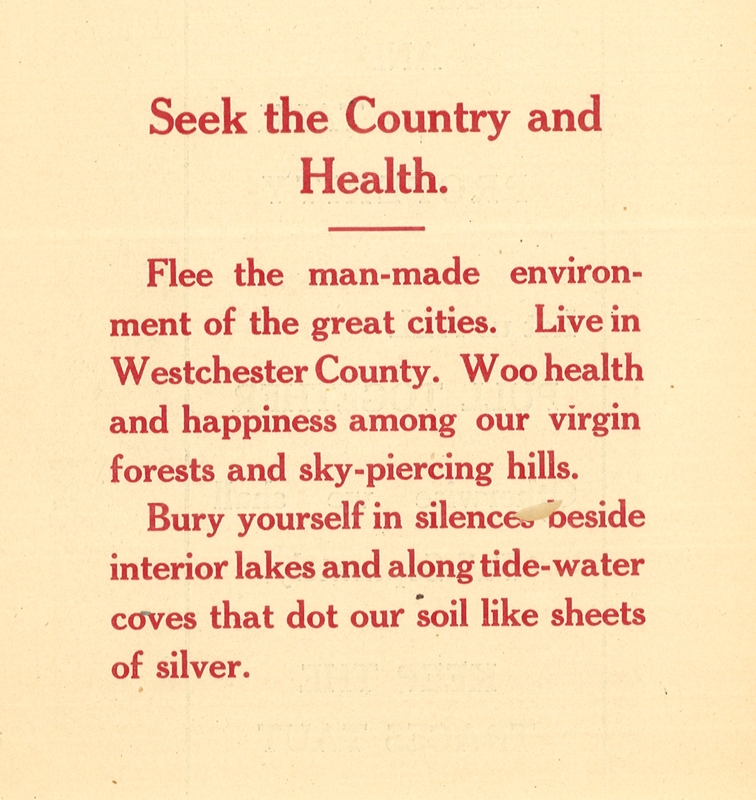 French published a five-volume history of Westchester County in 1925. 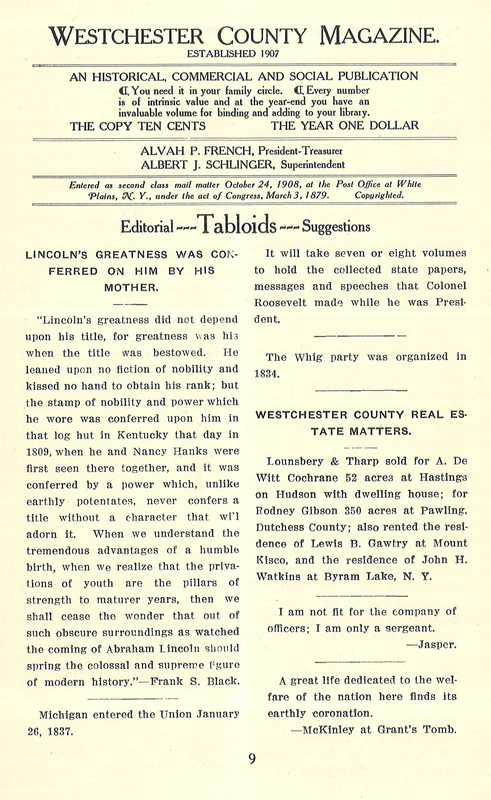 However, running and selling newspapers was his main profession, and he had a hand in creating The Mount Vernon Daily Argus and The White Plains Reporter. 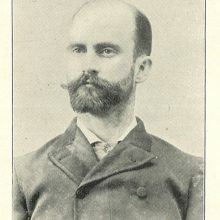 French died on May 15, 1927 at his home in Port Chester. 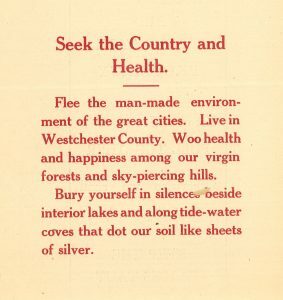 He was described as the “historian of Westchester County” in his New York Times obituary, which notes that he answered research queries from around the world, much as the library does today! 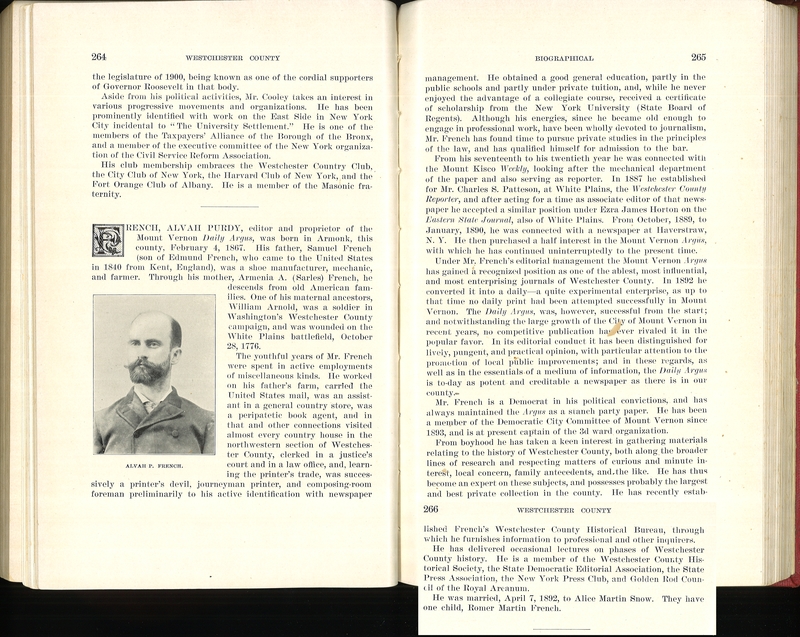 The featured image in the upper left is from Spooner's book. 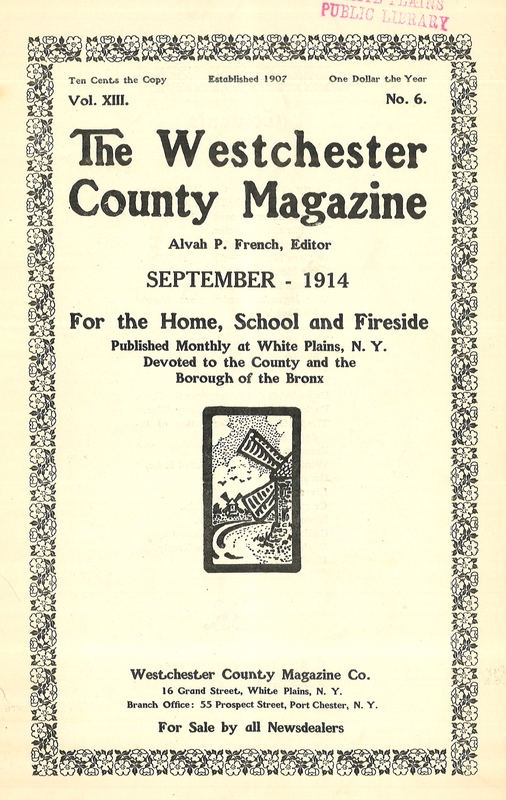 Included in this post are scans from various issues of The Westchester County Magazine. 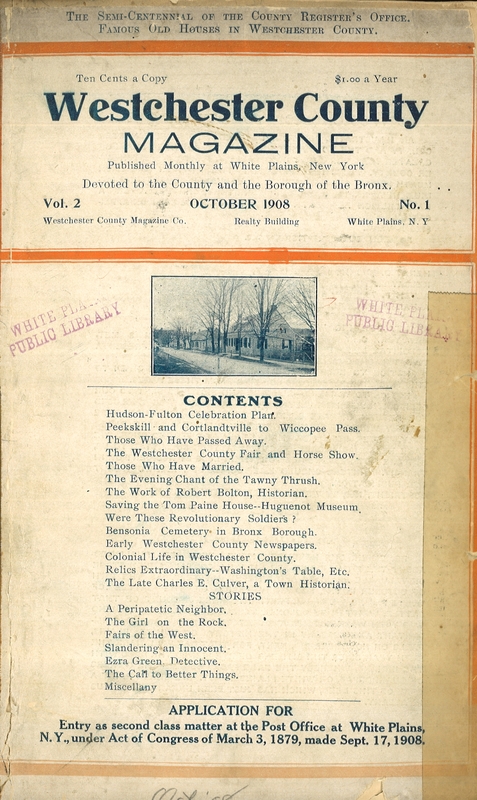 Contact me if you're interested in viewing other issues or anything else in the White Plains Collection.